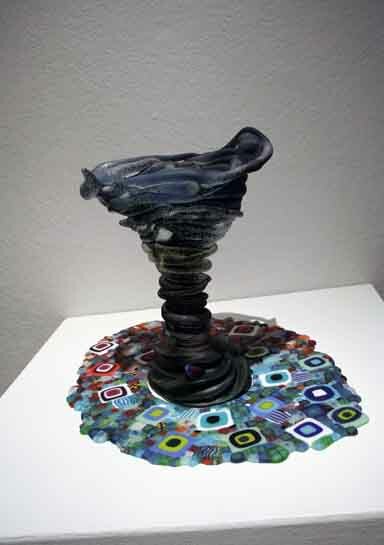 Beverly Burton (Sugar Land/Rockport) Burton is known for her self-taught dichroic glass creations. She operates a glass studio in Sugar Land, Texas and owns a home in Rockport where she hosted the 2008 Tour of Homes Kickoff Party. Gil Cowden (Corpus Christi) Cowden is a native Texan whose life-long love of woodworking has distinguished his creations - balancing the natural elements of found wood with Cowden's creative vision. 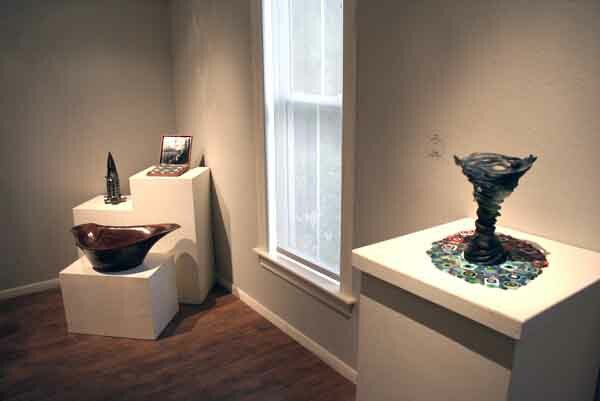 Cowden is represented by the Gallery of Rockport. Ron Fleming (Tulsa, OK) Fleming is a nationally recognized woodturner whose work has won many awards and is in the White House permanent collection of American Craft. 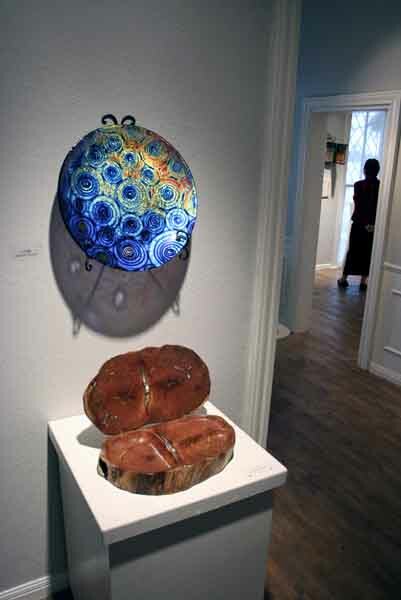 He has extended his vision from wood and now creates glassworks out of lead crystal, adding to his repertoire of media. Jack Gron (Corpus Christi) Gron is a metal sculptor whose work is characterized by political humor and satire. 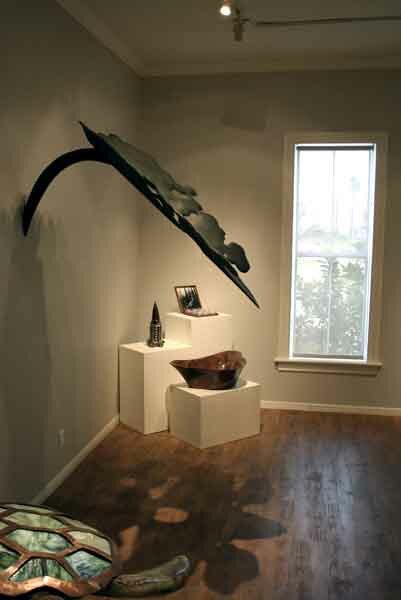 Currently chair of the Art Department at Texas A&M Corpus Christi, he is also Professor of Art in Sculpture. 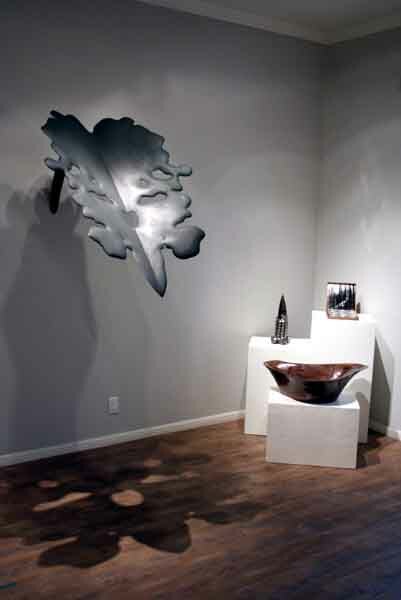 Jan Harrell (Houston) Harrell's work is an exploration of textures and shapes, enamel and metal finishes, shiny and dull surfaces, solid and see-through forms. She teaches at the Glassel School of Art in Houston, and received her MFA from the University of Houston. Billy Keen (Schertz) Spending many years as a commercial artist, Keen now creates stunningly original works out of painted and carved wood. Some may remember Keen's "Visions of Santa" series exhibited at the Art Center last December. Keen has received several awards and continues to work in a variety of media, and is represented by Austin Street Gallery in Rockport. David Keens (Arlington) Keens has taught at the University of Texas at Arlington since 1974, and is responsible for building the art glass program at UTA. He has received a full National Endowment for the Arts Craftsman Fellowship, and in 2007, The Texas Commission on the Arts and the Texas State Legislature named Keens the official Texas State Artist. Glenda Kronke (Austin) Glenda Kronke spent her childhood on the Gulf Coast of Texas and has lived on both the East and West coasts. Kronke has spent the past 25 years working for glass artists around the country. She is currently owner of G Kronke Studios and is partner in East by South East Studios, LLC in Austin, Texas. 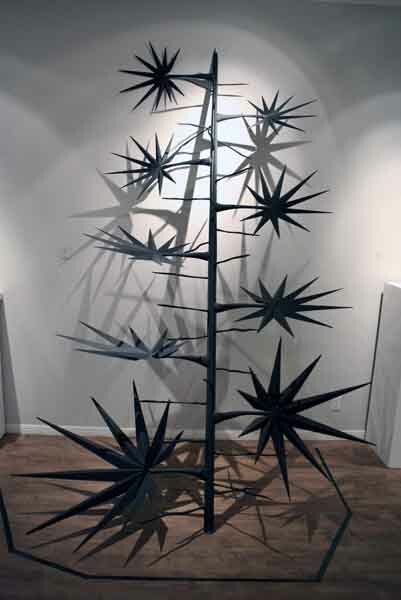 George Lorio (Brownsville) Lorio is associate professor of art at the University of Texas at Brownsville. 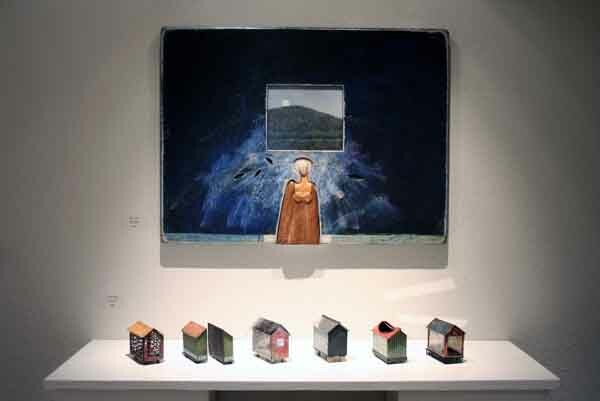 He has received grants from the National Endowment for the Arts as well as the Texas Commission on the Arts, and has exhibited in many solo and group exhibitions. Lorio's works in wood combine the unexpected with the poetic. He received his MFA from the University of South Florida. 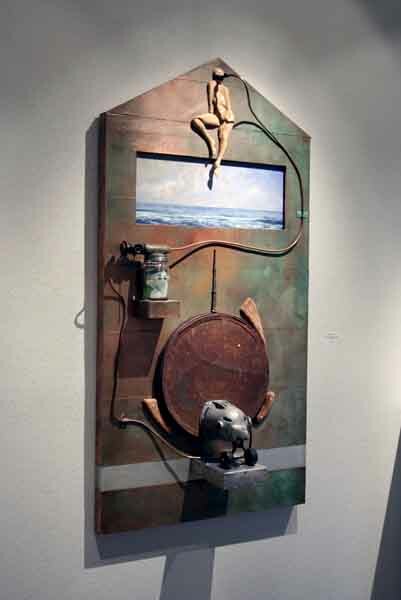 Leighton McWilliams (Arlington) McWilliams is known for his multimedia creations that combine photography, wood, metal and other found objects. He is assistant professor of photography at the University of Texas at Arlington, and received his MFA from Florida State University. Marlene Rose (Clearwater, Florida) Rose's work was featured in the short film "From Fire: An Odyssey of Glass" which was screened at the 2007 Rockport Film Festival and is available in the Art Center gift shop. Rose received her MFA from the California College of the Arts, and has received a grant from the National Endowment for the Arts. 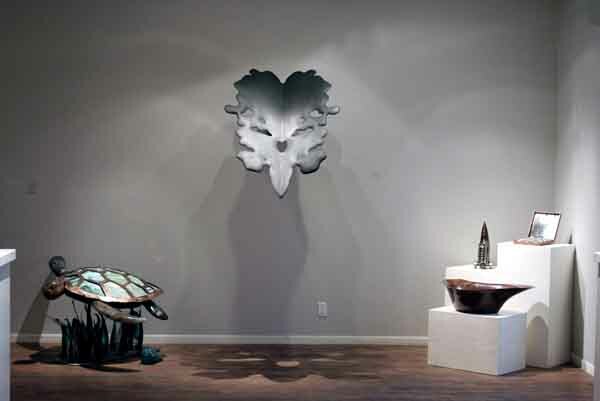 Gary Schott (Austin) Schott makes finely crafted, cerebral and humorous objects out of metal. 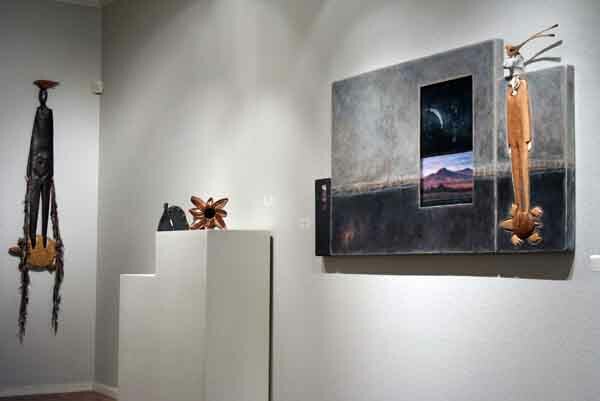 Recently a visiting assistant professor of metals at Stephen F. Austin State University in Nacogdoches, Schott received his MFA from the University of Illinois, and is currently Chair of the Metals/Jewelry program at the Southwest School of Art and Craft. Larry West (San Antonio) West is a glass artist who runs Dragonfire Hot Glass Studios in San Antonio, where field trips, workshops, and demonstrations take place daily. 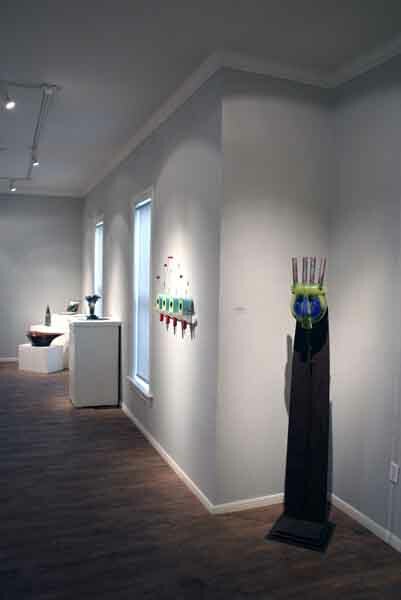 West is known for his elegant, extravagant glass work and is represented by the Gallery of Rockport.